Terming India and Pakistan as friends of China, the Chinese military also said both countries should resolve the issue through dialogue. Beijing: China’s military on Thursday said it was “closely watching” the escalating tensions between India and Pakistan and called for restraint by both the neighbours. Terming India and Pakistan as “friends of China”, it also said both the countries should resolve the issue through dialogue and properly handle the differences to prevent further escalation of tensions. Tensions have escalated between India and Pakistan in the wake of the Pulwama terror attack by Jaish-e-Muhammed (JeM) in which 40 Central Reserve Police Force personnel were killed. 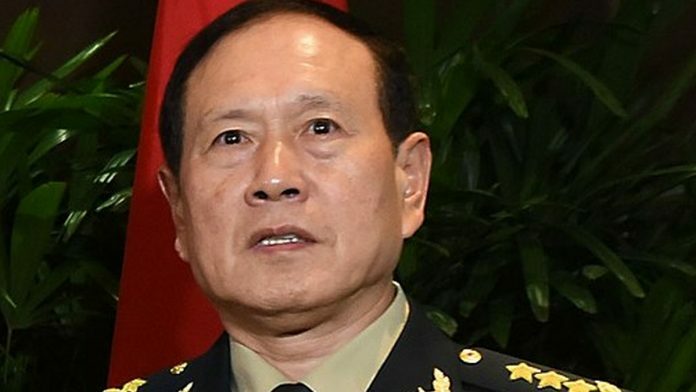 “We have noted the latest developments and we are closely watching the situation,” Chinese Defence Ministry spokesman, Senior Col Ren Guochang told a media briefing here when asked about the prevailing tensions between India and Pakistan. He said India and Pakistan are two major countries in South Asia. “A harmonious relation between the two countries serve the interests of the two countries as well as peace and development of the region and the world. “We hope the two sides can exercise restraint and properly handle differences and prevent further escalation,” he said.